On this day in 1703, a most celebrated author stood in the pillory, awaiting punishment for seditious libel. 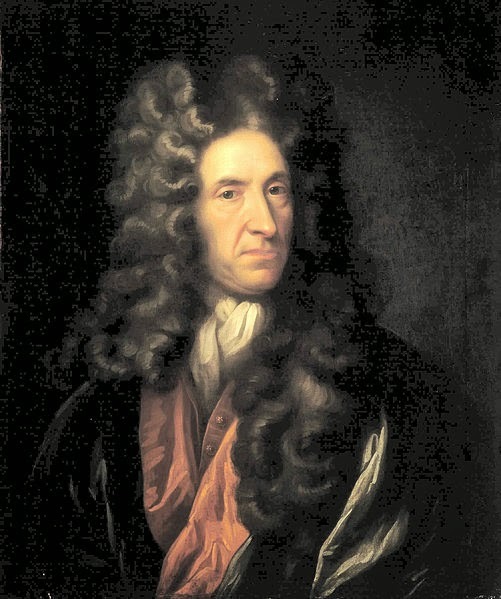 It may be a tall tale that I am about to tell or it may be true but it is such a wonderful moment in the history of the British legal system that I feel bound to recall the day that Daniel Defoe was pilloried and lived to tell of his sweetly-scented fate. In 1702, Defoe wrote The Shortest Way with the Dissenters, an anonymous pamphlet. He wrote the work from the viewpoint of a religious zealot and argued that the quickest way to deal with dissenters was banishment and death. Not recognising the pamphlet as satire, some high-ranking Anglican churchmen went on to lend their voice to the argument, agreeing with the arguments put forth by the author. Once Defoe was identified as the man behind the text, he quite understandably fled, trying to put right the damage with A Brief Explanation of a Late Pamphlet. However, the damage was done and Defoe was detained and taken to Newgate, where he remained until his bail was settled. The trial for seditious libel was short and the outcome inevitable. Despite his repeated claims that the pamphlet was meant to be taken as a joke, he was sentenced to stand three times in the pillory and pay a massive fine. A stint in the pillory was the stuff of nightmares; a very public humiliation, crowds were invited to pelt the wrongdoers with whatever they wished and there were cases of people being blinded, maimed and killed whilst in the pillory. for Defoe, however, the reality was to be very different. As his friends sold copies of his pamphlets, the crowds certainly did gather to pelt the convict, though not with rocks and rotten eggs, but with flowers. For three days Defoe endured this far from painful punishment as the people of London sent the government and judiciary a very clear message about their take on The Shortest Way with the Dissenters and the man who had written it. Another fascinating revelation from the salon! We torget how brutal these times could be (thankfull not in this case) and how much misplaced the clergy often prominently possessed -even when wrong. Very true; the church wielded a huge amount of power. I'm not surprised that you're not fond of him! Yes! I agree,Madame! He was also a"not so nice"spy for the English Government! Indeed he was, a life of much excitement! comments certainly show the importance of perspectve in forming viewpoints. Always wise to ask why some thinks as one does. Where I have yet to visit! Isn't he buried at Bunhill Fields, the dissenters' burial ground?